As the South East Asian (ASEAN) solar market makes huge strides towards self-consumption, several leading companies including IKEA in Singapore, SunnyRich in Taiwan and Bangkok Glass Public Company (BG) are turning towards ABB’s solar solutions to further expand their energy supply. The growing need for uninterrupted and reliable power supplies throughout Asia, and the ASEAN region, is largely being driven by government incentives and the growing prosumer movement in energy, which is now being translated into the commercial world. Vikram Mulye, Regional Sales Manager, Business Unit Solar from ABB said: “Annual power demand growth across Southeast Asia currently stands at 6 percent per year. With electricity costs high and infrastructure in remote areas still vastly undeveloped, solar is an attractive option for meeting this demand. 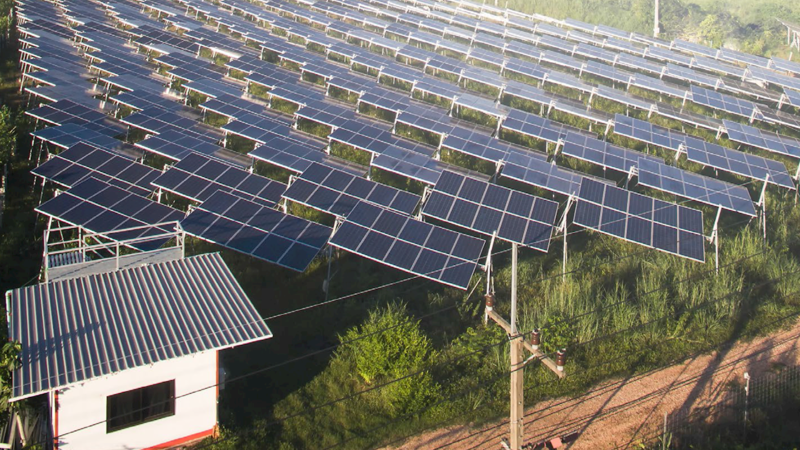 Bangkok Glass Public Company (BG) has been working with ABB to further expand its alternative energy supplies, with the opening of a 5 megawatts solar rooftop facility at its factory in Ayutthaya province, Thailand. This will be the largest solar rooftop installation of its kind in the region and marks a significant step forward in the acceptance of self-consumption solar energy models. In Taiwan, the government has outlined its targets for renewable energy installation in The Renewable Energy Development Act. Companies such as SunnyRich, a leading solar system integrator company in the region with a 20MW customer base, is working with the Pingtung County Government to develop a solar powered greenhouse to improve food security, produce healthy crops and allow the land to recover following a devastating typhoon, which caused severe floods and landslides. While in Singapore, the global heavyweight in home furnishings, IKEA, has installed a solar rooftop plant at its flagship store. Through this solar installation, the IKEA store expects to save $2.4m on its electrical bills over the next 10 years. Across all these high-profile projects, ABB has provided several inverter solutions including ABB three phase outdoor string inverters for commercial and industrial applications. ABB’s inverter technology increases the system reliability and efficiency of new plants and installations over the complete lifetime of the system for more than 20 years. At the IKEA store in Singapore, these inverters will help the plant to generate an expected 1.3m kilowatt (kW) hours per year, enough to power more than 280 households. In Southeast Asia, Thailand has so far been the leading country in promoting solar power in large utility-scale applications. Capacity has grown from 1,299 MW in 2014 to over 2,800 MW in 2016 - higher than all other Southeast Asian countries combined. By 2036, the territory is aiming to install 6,000 MW ** so, with further gains towards solar now expected, Thailand is in an advantageous position to ride this renewable energy trend and become a center of excellence for solar PV technology.